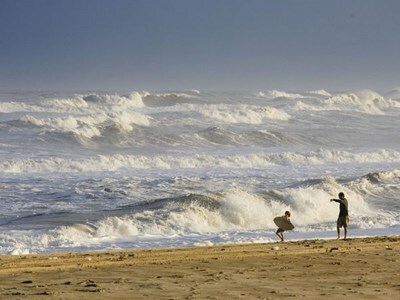 "North Carolina’s Outer Banks represent what the eastern seaboard used to look like before all the development and jetties. Left to the whims of the wind and tide, the barrier islands and their dunes change shape from year to year. That makes for an ideal place for beach sports ranging from surfing to striper fishing."